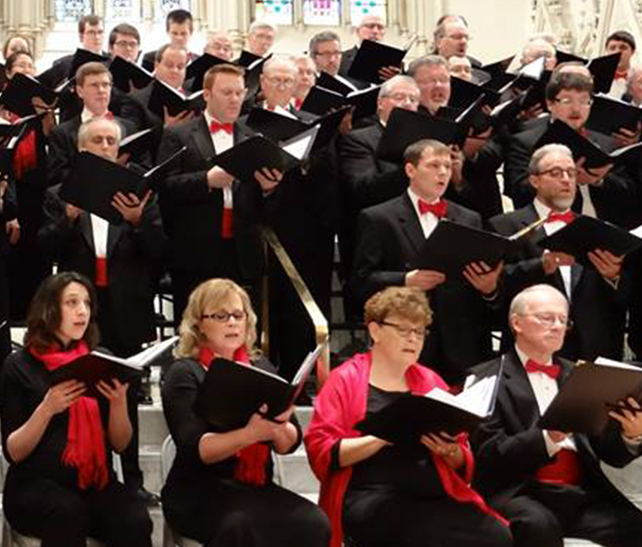 Buffalo Choral Arts Society (BCAS) is a 115-voice auditioned choral ensemble under the direction of Marcia A. Giambrone, who has served as Conductor and Music Director since 1987. During her tenure, the chorus has broadened its scope to perform a wide range of musical genres from classical to sacred to Broadway. BCAS members come from all walks of life, and our diverse performance venues and varied repertoire are the hallmark of this ensemble. BCAS has also toured internationally in Austria, Paris, Normandy, Dublin, London, Vienna, Provence, Barcelona, Prague and Quebéc, as well as nationally in Washington, D.C. and, most recently, in New York City for the 2015 July 4th celebration. 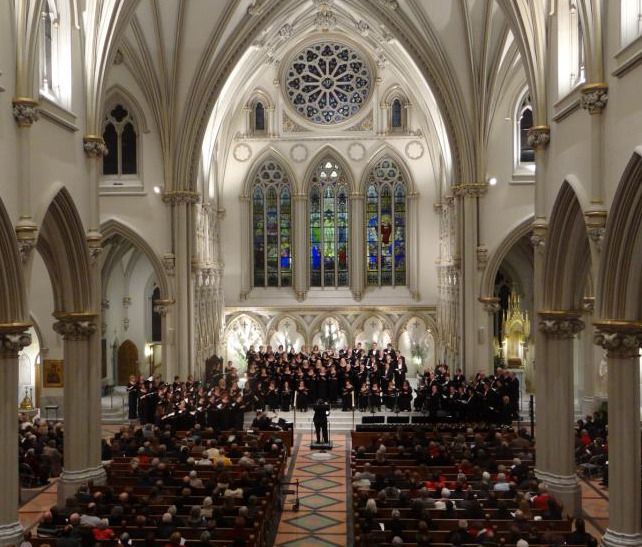 For over 50 years, Buffalo Choral Arts Society has been performing a mix of music that ranges from holiday sacred and secular selections to classical choral literature to pop and Broadway favorites. We strive to bring our sound to all corners of our region and have served as Western New York’s choral ambassadors, touring both internationally and in the U.S.